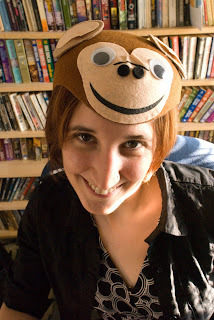 Glick Miller Musings: Monkey hat! Kathy got a new hat! It's in honor of the tournament we are going to early in May--Monkeybowl.